Originating as a Bikram Yoga Studio down South, Evolve Yoga and Fitness has brought their fitness studio to the north after gaining a following in Alabang. They offer classes such as Bikram Yoga, Vinyasa Yoga (Heated and Non-heated), Candlelight Flow, Absolute Hot Yoga, Gentle Flow, Bikram Variation, Ashtanga Yoga, Yin Yoga, Power Yoga, and Baptiste Power Vinyasa (Heated). The Alabang branch is located on the 2nd Floor of Filinvest Corporate City. Meanwhile, the BGC branch shares a space with Central Ground Athletics, which is in One Parkade near Bonifacio High Street. The studio has about 4 shower cubicles (with body wash and shampoo provided). They also have lockers, all you have to do is leave an ID on the counter. Yoga mats and blocks are provided by the studio. You may also borrow towels at the counter. Bring your own water bottles especially if you’re doing their heated classes. If you forget to, they sell water and other beverages there as well. They also have a cafe in the Central Ground Athletics Crossfit area where they sell coffee and smoothies. Please contact the studio at info.alabang@evolveyogaph.com and/or info.bgc@evolveyogaph.com for inquiries about their rates and packages. The first Evolve branch I’ve tried is in Alabang. I found the studio to be spacious all throughout from the entrance to the practice area to the shower/changing room (big factor if you’re rushing to shower). If you come unprepared, take note that yoga mat and mat towel (required for bikram yoga) are for rent while bottled water is for sale. 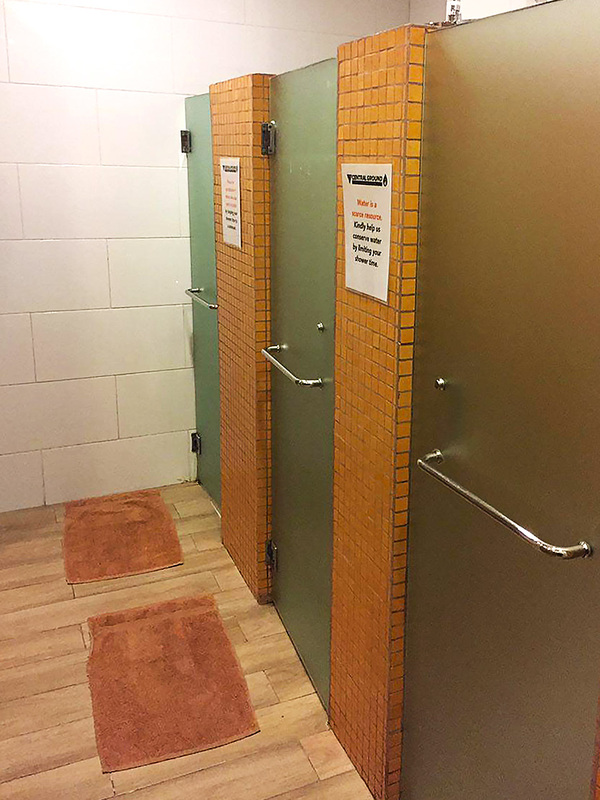 The BGC branch has a relatively smaller shower and lounge area but just the same, it offers Evolve’s Signature hot classes as well as the unique-sounding ones such as Baptiste Power Vinyasa and Candlelight Flow. Another cool thing about the BGC branch is that yoga mats are free-of-charge! Their curious classes include Baptiste Power Vinyasa and Candlelight Flow which, unfortunately, I haven’t tried yet, although I am planning to! This studio has helped strengthen my basic shapes and holds in my practice. I usually attend their early morning classes and I’ve never experienced a full class. I appreciate the ceiling room in their studio and the mirror in the front of the class as well. I first tried the Baptiste Power Yoga class at a Global Mala event, and was surprised by how strong the class was! What I come here for though are the Led Ashtanga classes on weekends, which I think will help any yogi develop a solid practice. We want to know what you think! If you've been to Evolve, leave a comment below and tell everyone about your experience.